A sweeping history--and counter-narrative--of Native American life from the Wounded Knee massacre to the present. 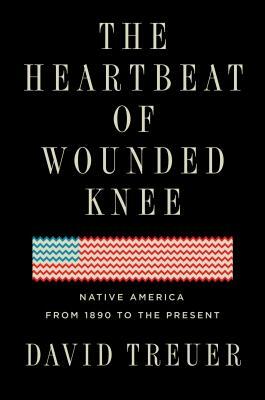 The received idea of Native American history--as promulgated by books like Dee Brown's mega-bestselling 1970 Bury My Heart at Wounded Knee--has been that American Indian history essentially ended with the 1890 massacre at Wounded Knee. Not only did one hundred fifty Sioux die at the hands of the U. S. Cavalry, the sense was, but Native civilization did as well. Growing up Ojibwe on a reservation in Minnesota, training as an anthropologist, and researching Native life past and present for his nonfiction and novels, David Treuer has uncovered a different narrative. Because they did not disappear--and not despite but rather because of their intense struggles to preserve their language, their traditions, their families, and their very existence--the story of American Indians since the end of the nineteenth century to the present is one of unprecedented resourcefulness and reinvention. David Treuer is Ojibwe from the Leech Lake Reservation in northern Minnesota. The author of four previous novels, most recently Prudence, and two books of nonfiction, he has also written for The New York Times, Los Angeles Times, Esquire, Slate, and The Washington Post, among others. He has a Ph.D. in anthropology and teaches literature and creative writing at the University of Southern California.